In our recent study we find, that Companies that strategically prepare themselves for the future outperform other companies – both in terms of profits and company value. However, very few companies actually prepare systematically for the future. Companies that recognise that the future might change the very foundation of their business, that prepare for it and change their course of action accordingly, are 33 per cent more profitable than companies on average. In addition, vigilant companies achieved a 200 per cent higher growth rate than the average company. However, just one in five companies strategically prepares itself for future movements in the market – and just one in 20 companies adjusts its course of action accordingly. This is the result of a new longitudinal study in which researchers followed 70 large European companies over a period of seven years. The companies were first measured on the maturity of their corporate foresight. Seven years later, they were measured on a number of financial parameters. It’s all about uncovering the future of the company. Whether to explore new markets or new opportunities. 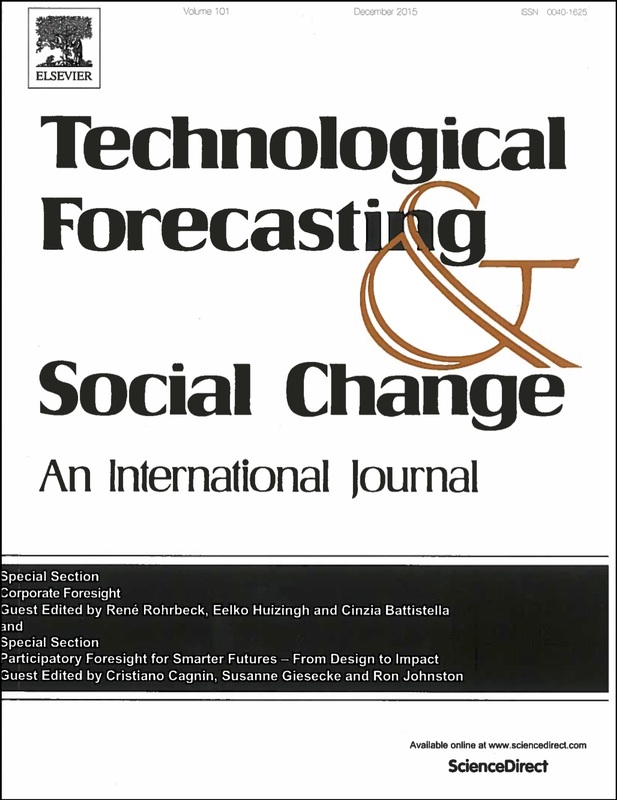 Whether to produce different products than today., René Rohrbeck, Professor of Strategy. “They are all well-run companies that like many other companies are very good at conducting business on their existing market. They reorganise when needed and introduce new technologies when required. But very few of them actually pay heed to the long-term future of their business. All the while, the average life expectancy of companies is shrinking. Only very few companies survive for 100 years,” says one of the researchers behind the study, Professor René Rohrbeck from the Department of Management at Aarhus BSS. 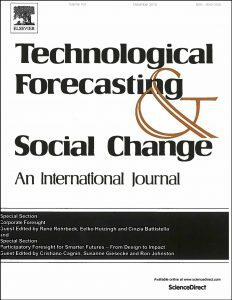 Although the study focused on European companies with an annual turnover of at least EUR 100 million, the results also apply to Danish companies of all sizes, says Rohrbeck, who is an internationally recognised researcher in the field of corporate strategy and specialises in corporate foresight. “The mechanisms are the same for large companies as for small ones. It’s all about uncovering the future of the company. Whether to explore new markets or new opportunities. 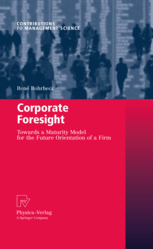 Whether to produce different products than today,” says Rohrbeck, who has developed the model applied in the study to measure the maturity of the companies’ corporate foresight and their ability to work strategically with future challenges. The model consists of the three P’s – Perceiving, Prospecting and Probing. 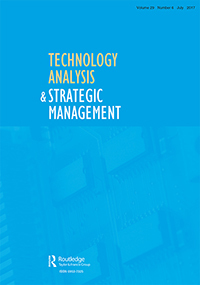 Overall, these concern a company’s ability to perceive what is going on in a market, to analyse the movements of this market in relation to the company or industry in question and to transform the analyses into strategies. 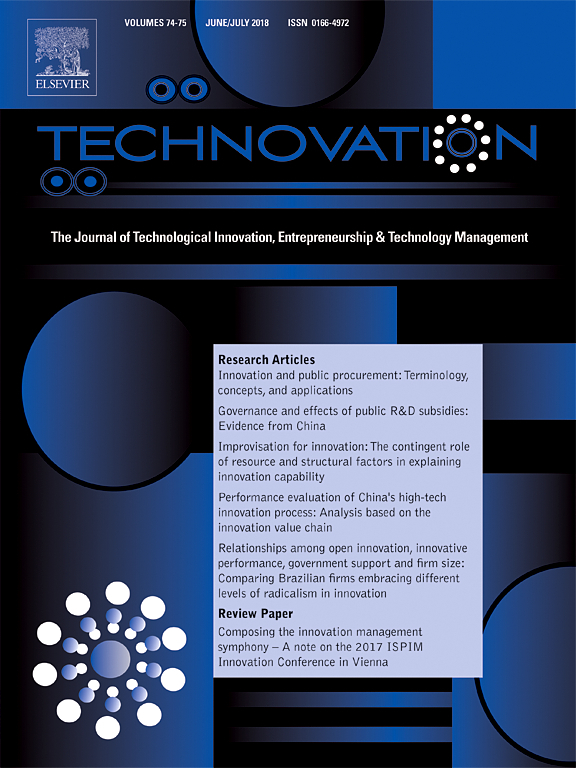 The maturity model is subsequently compared to another model in which the need for corporate foresight is measured against the company’s specific market. In the study, the models divide the companies into four categories according to the challenges on the markets on which they operate. The vigilant companies that work determinedly with corporate foresight in their market. The neurotic companies that might adapt their course of action to the movements in the market, but do so without a long-term or strategic perspective. The vulnerable companies that have strategies, but whose strategies do not sufficiently address the challenges of their market. The companies in danger that might have strategies, but whose strategies are completely insufficient. 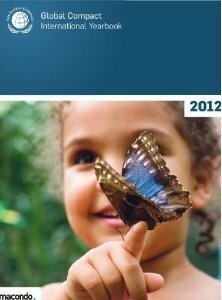 Seven years after the companies’ maturity was measured, the profitability of “the neurotic” and “the vulnerable companies” was 37 per cent lower on average compared to the “vigilant companies”, while the “companies in danger” were lagging behind “the vigilant” by 44 per cent. Somewhat surprisingly, the study showed that the two categories with the poorest performance in terms of market value were “the neurotic” and “the companies in danger”. The market value of these two company types had fallen by six and one per cent respectively and was 109 and 101 per cent below the company average. 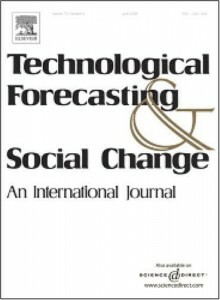 “The study clearly demonstrates that companies benefit a great deal from systematically preparing for the future. However, the study also showed that the performance of ‘the neurotic’ was surprisingly poor. This suggests that companies who focus too much on the future fail to relate to the present. 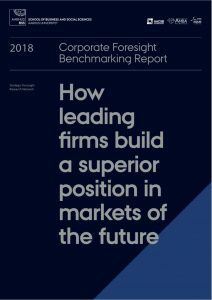 This shows that it is important for companies to consider the demands for corporate foresight in their market as well as their own level of corporate foresight,” says René Rohrbeck. The paper has also been recognised through the Association of Professional Futurist (APF) as the Most Significant Future Work 2018. 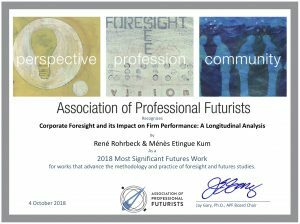 Most Significant Futures Works (MSFW) Awards were announced at the Annual Reception and Recognition ceremony at the APF Pittsburgh Gathering, October 4, 2018, at the Kimpton Monaco Hotel. 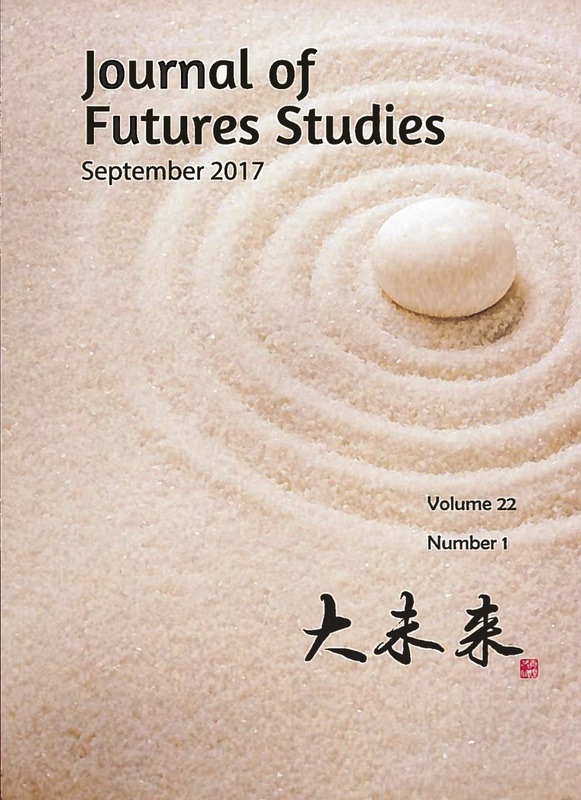 Works are nominated in three categories: Category 1 Advance the methodology and practice of foresight and futures studies; Category 2 Analyze a significant future issue; and Category 3 Illuminate the future through literacy or artistic works. 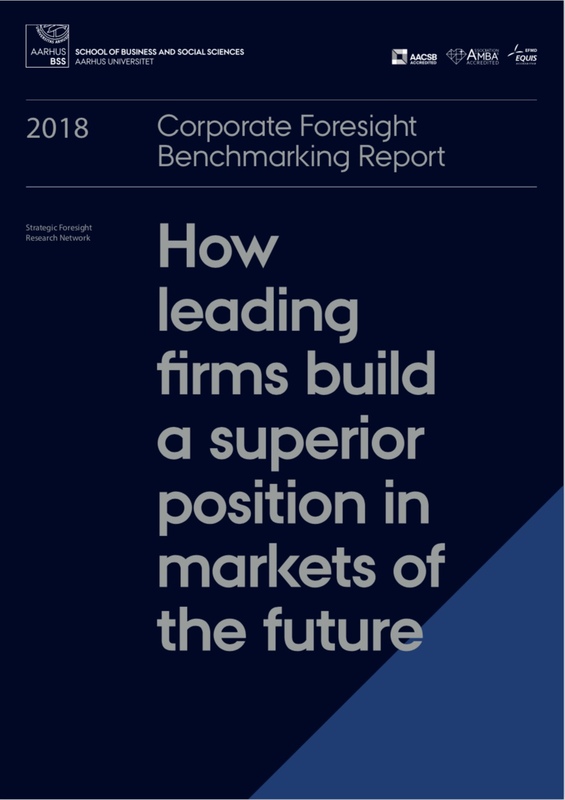 You can also download for free our benchmarking report, that provides more information on practices of leading firms and describes 3 key initiatives that are recommendable for all firms in changing and turbulent environments.